Long before you or I knew the words "Food Truck" or could even have envisioned the future madness surrounding these portable feasts there was a van. 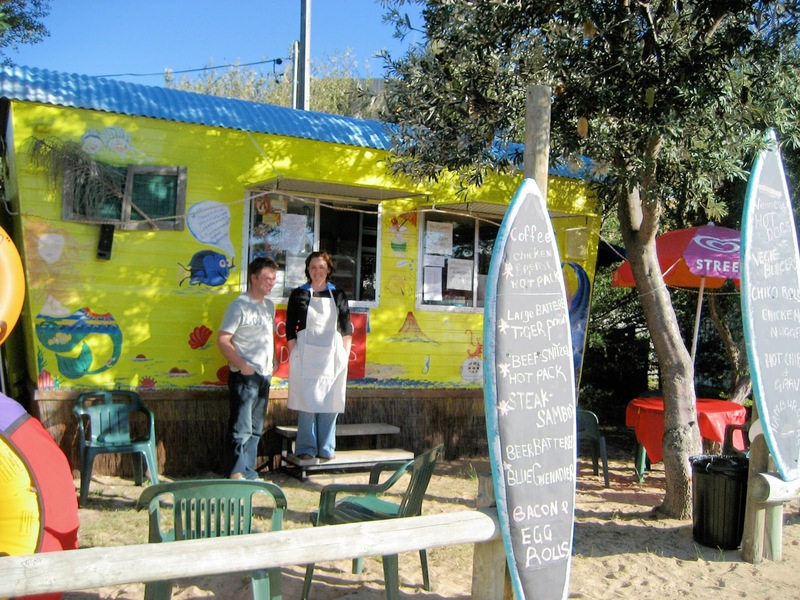 A lone little yellow van with no pretensions located on the South Coast of Australia, Pambula Beach to be exact. It's owners for a time, Felicity (my sister in law) and her partner Daniel (the cook), looking to escape the grind of the nine to five bought the van and were churning out great Aussie classics like fish and chips, prawns, burgers and fresh cinnamon doughnuts long before the hipster set bought Bao, Bún and Bahn Mi to the fore of the food truck scene. Eight years or so later and Felicity's food truck is sadly a distant memory and today's food truck scene has exploded. You can't go to a market or festival without a full on food truck assault. To my delight world cuisines are supreme but the simple act of serving food from a moveable vehicle doesn't make it good food. The two don't go hand in hand despite what seems to the general consensus of food truck aficionados. You can't just take a bearded hipster, some shredded luke warm meat, slap on some Sriracha, claim it to be "smoked" and have a hit on your hands but with the captive audience many food truck events supply quality doesn't always reign supreme. Don't get me wrong, I have had some absolute cracker dishes from a food truck Succulent Smoky Peruvian chicken wings, Croatian whole spit roasted lamb and pork smothered in gravy on near two foot rolls, drippingly juicy Vietnamese Pork skewers the fare can be outstanding. On the other hand I have eaten some dull, tasteless crap with a price tag that does not befit having to eat your meal in the gutter. Innovation and a slap of graffiti isn't necessarily the way of the future. Life isn't meant to be perpetually trendy. Enjoying well made classics with your toes in the sand, under a beach umbrella on one of the most stunning beaches in Australia can be enough sometimes. The most vivid memory I have from this food truck that was before it's time is Haloumi, it may sound simple but in my mid-twenties as I was I had not had the pleasure of grilled Haloumi simply sprinkled with lemon juice. This is the gift that Felicity's food truck gave to me and as we ate it as the sun went down my thoughts could not be further from uber-cool food truck meet up's, craft beer and hipster beards.